iPhone, iPad, Mac & Me: 32GB iPhone Announcement In January? 32GB iPhone Announcement In January? 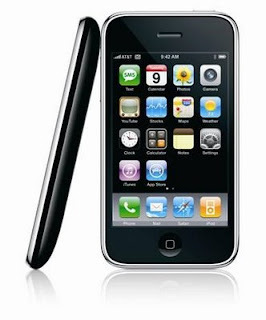 iPhone Hacks is reporting that the announcement for a new 32GB iPhone could come at Macworld 2009 in January. I tend to believe this rumor especially after today's announcement of the Nokia N97, which will have 32GB of onboard memory. The iPhone Hacks article goes on to explain why the current iPhone does not have 32GB and why the iPod Touch does. The only reservation I have about the article is that near the end the author says that the new iPhone could also sport a faster processor like the one in the latest iPod Touch. From what I have read, the iPhone 3G has the same processor as the second-generation iPod Touch but the chip in the iPhone is apparently underclocked - mostly likely for power reasons. In any case, the Nokia N97 announcement is a great one for iPhone users because it will force Apple to make the iPhone better. Increasing storage capacity is the first step.